Zebra easy booties model construction of the most fashionable booties model zebra striped booties model to the appreciation of our esteemed followers. 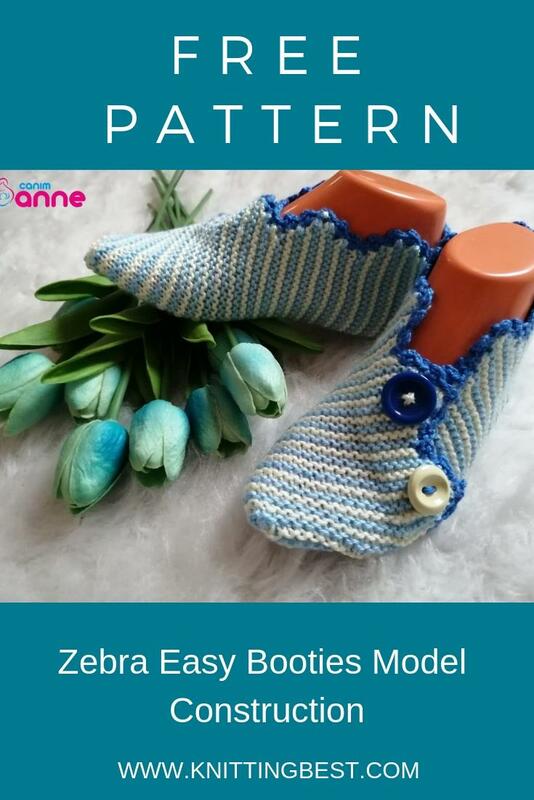 Zebra easy booties model is looking for different examples of a very nice stylish booties are waiting for you. Winter is the best handmade knitting model. Our zebra booties will fill the eyes with our stylish models. In our friends who want to learn new video expressions will be very helpful. The desired brand can be made on the rope or knitting ropes. You can choose skewer preference according to the thickness and thickness of the rope. On the back of the ropes you buy, there is a spit number. It would be useful to pay attention to this detail. 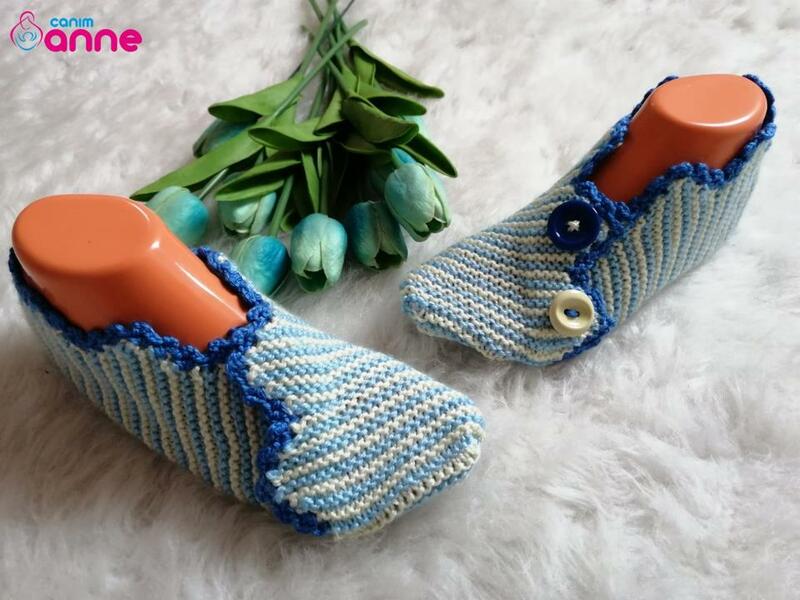 Wishing you to be together again in new design, beautiful booties models, goodbye with the best days you have made your booties. Number 37 is suitable for feet. Let's start with 17 stitches. First knit weave weave we weave to the end. And let's tie our other rope color and continue knitting until the end of the line. Let's cover up to 7 rows in total. 7 We add 7 stitches after the duck, and we turn it up to the end. We will continue in two colors. And we'il start uncovering the slices. The boot is done separately as a right and left foot. 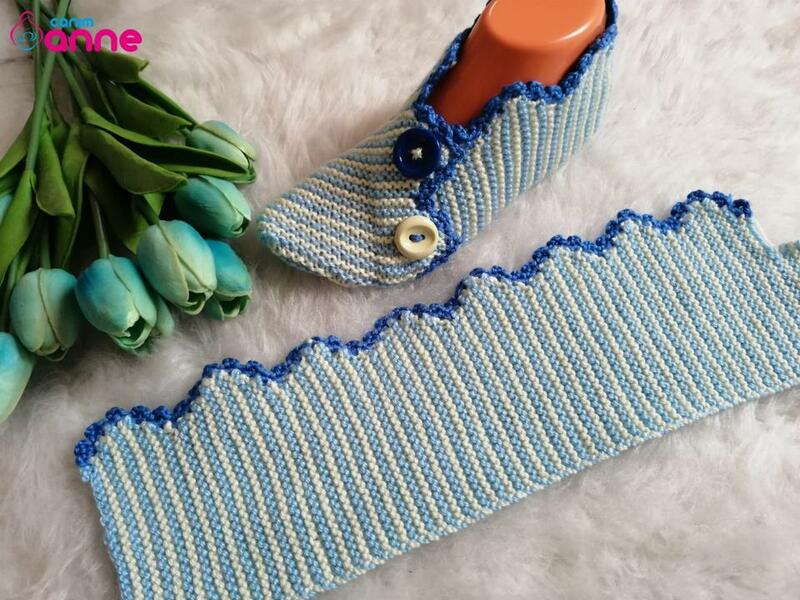 The reason is that it is knitted in this way because it is a slice detail. Don't forget to watch our video for a more detailed explanation. Good luck with.